SAM-R (Soft Architecture Machines-Revisited) is an interactive design installation pushing the boundaries of man-machine interfaces, and exploring the use of artificial intelligence in playful design environments. 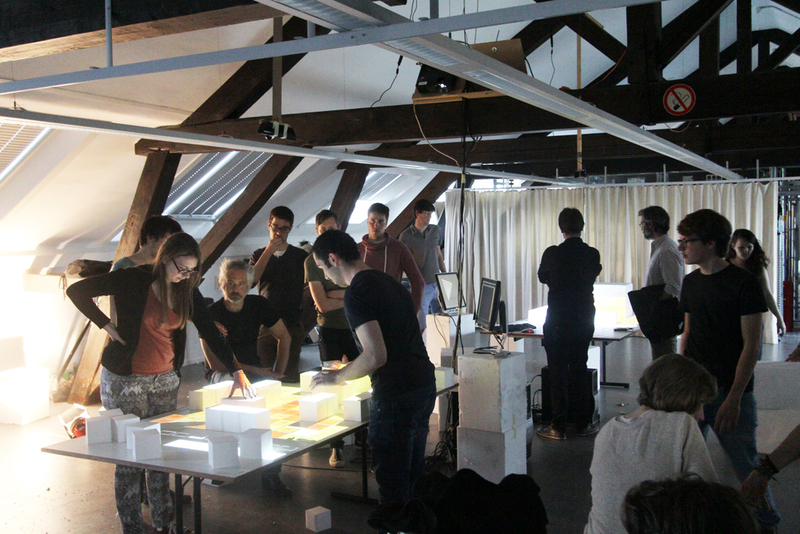 Through a combination of physical blocks, 3D-scanning and projection mapping, students collaborate with an AI-computer to build a structure to their (and the computer's) liking. 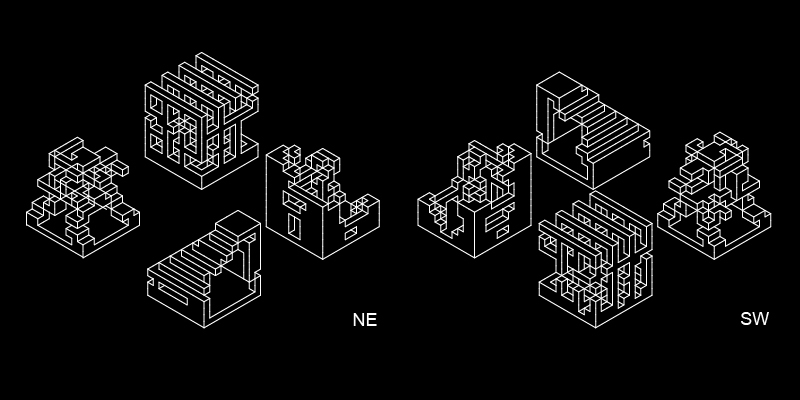 In this turn-based process, geometry loops from physical to digital and back again. This geometry thus becomes embedded with both fantasy and hard logic from both ends of the man-machine spectrum. 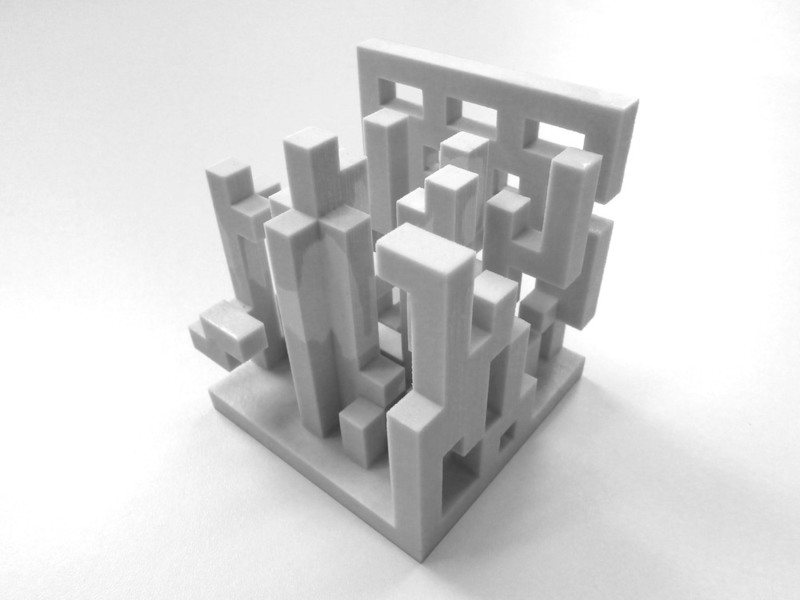 The physical model thus starts from scratch at every layer, but the accumulative digital model is shown on an auxiliary monitor (and is 3D-printed int the end). In this installation, the rule-set followed by the computer is a simple structural logic (based on direct neighbourship) and a sunlight analysis. This is translated into a colour+symbol scheme, projected onto the building grid. Ignoring the computer's recommendations leads to faulty blocks not being scanned. The installation builds upon an experiment called "Seek", conducted by Nicholas Negroponte and the Architecture Machines Group at MIT in 1970, and described in his book Soft Architecture Machines. During this experiment gerbils would instinctively create/adapt an environment of metallic cubes, and a robotic arm would "correct" their moves in parallel. 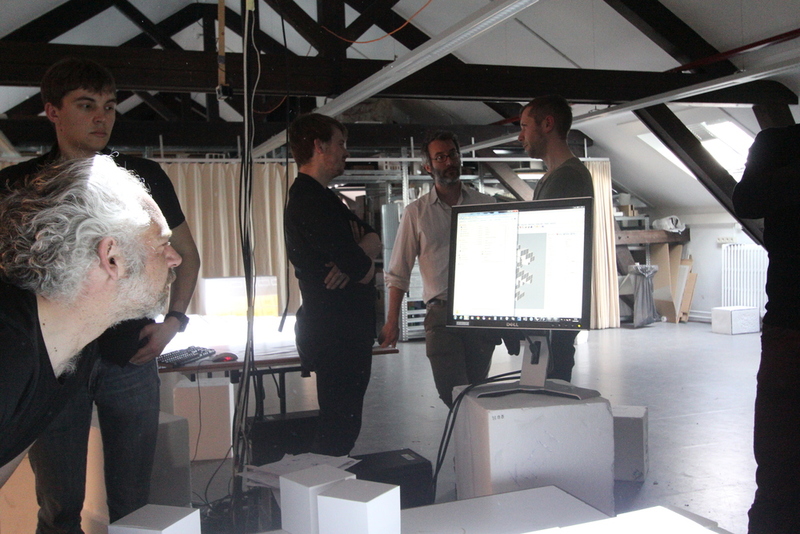 In SAM-R, the gerbils are students, and the power to adapt the structure is mediated through a 3D-scanner+projector. The installation was built to honor the 25th anniversary of the VA&S (Department of Architecture and Urban Planning). It was showcased durign the Jokerweek workshop, and the results were 3D-printed and exhibited in the University Forum, Ghent.